Some of us have Norman Rockwell in mind when we think of the holidays – a snowy scene, a feeling of comfort and joy. You can experience such a scene in Milan, Ohio, at the holidays. 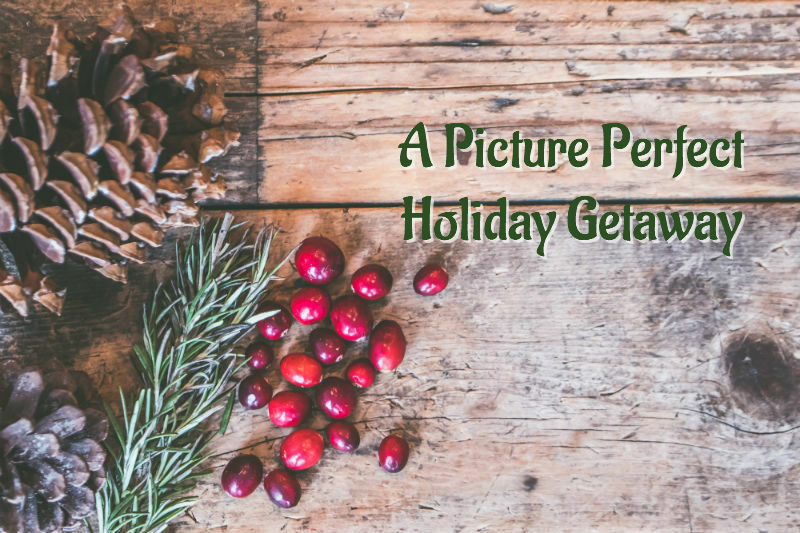 We’ve put together ideas for your holiday getaway! Where to Stay: Angel Welcome Bed & Breakfast is a historic building, built in 1828 to house one of Milan’s leading citizens, Daniel Hamilton. As such, its gracious lines remind one of times gone past. The house is decorated with beauty in mind. Each room has all the comforts of home, without the associated chores! Breakfast is a sumptous affair. Pick your breakfast time, between 7-10am, a bountiful spread served on fine china and accompanied by fresh floral arrangements. This sets you up for your festive holiday fun! What to Do: A walk around the neighborhood after breakfast will perk you up for the rest of your day – maybe head over to the Thomas Edison Birthplace Museum, only a short jaunt away from the B&B. Or you could go take a stroll through the village square and stop in at some of the cute shops around the square. For the interior decoration lovers, a drive over to Norfolk and Naturally Country will be a perfect holiday destination! This wonderful store is full of gorgeous floral arrangements, gifts, home decor, and much more – and at Christmastime, it’s a 5000 sqaure foot winter wonderland! Perfect for finding that special something for your loved ones. reveals unexpected treasures… in the most unlikely of places.”. Get tickets here. In the Evening: Port Huron hosts The Firelands Festival of Lights, a drive-along light display to celebrate the fun and magic of the holiday season. It’s a free event, but donations are accepted. 5-10pm, November 24- December 31, 2018. You can also take a Christmas Candlelight tour of homes in Sandusky, if you’re here December 2-3. Held from 6-9 pm, get your chance to take a peek at some of the most beautiful historic homes. If you’re more adventurous, take a Segwave tour through Sandusky! The holiday lights tours are about an hour long and are offered November 23-December 23, 2018. Reserve your tour on the Sandusky Segwave Tour website. This entry was posted in Holidays, Romance by admin. Bookmark the permalink.